Address: 326-334 Canning Hwy. Related post. Address: Marrickville Rd & Railway Parade. Venue phone: (02) 9550 3777. Box office: 894305208. Address: 179 High St. Venue phone: (08) 9430 5208. Related post. Admission: $46.32. Address: 509 Charles St. Venue phone: (08) 9444 1051. Related post. Time: 1:00pm. Admission: Adult $23.50, Child $13.30, Family $56.10. Age restrictions: All Ages. Address: 3 Nelson Cres. Venue phone: (08) 9323 3555. Time: 6:00pm. Elvis is back in the building! The hottest ticket to get at last year’s Fringe World is back – with the same fabulous team and all the great tunes Elvis would have made famous if only he had lived long enough to record them. Perth’s legendary Suburban Boy, Dave Warner, re-unites with the high-octane Caitlin Beresford-Ord in the return season of The King and Me, the audacious musical about a man, his dreams, and his BFF – Elvis Presley. Craig Nelson is a cabaret performer going nowhere except down. Yet he still loves the music, he still burns to follow in the blue suede footsteps of his idol. One night, a mysterious young woman turns up at Craig’s door saying she can help him win the high-profile “Soul of Elvis” competition and reclaim his life. But there’s much more to the woman than Craig could possibly imagine. The King and Me is about performers and creators, the threat of losing self-belief that all performers face, and their need to persist. And it’s about the moment when inspiration comes knocking, telling you to Shake, Rattle and Roll. 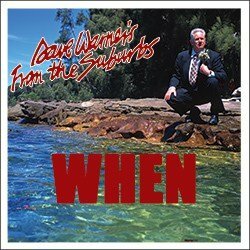 Dave and Australia’s greatest Living Surf Guitarist, Martin Cilia (Atlantics, Mental as Anything), have written the original songs that rock Craig’s story. “Some are country-rock songs Martin and I had been looking for the perfect home for, some are brand new for the show. I like to think it’s all material the King would have made taken to the top of the charts, if he hadn’t, you know…”, says Dave. Warner, recently honoured as a “WA Living Treasure”, says playing Craig last year was one of the most demanding and exciting things he has ever done. “We’ve refined the show since last year, trimmed a few minutes and have it purring. If you loved it last year, come again. You’ll like it even more the second time around” he says. A lot has happened for Warner in the last twelve months, with the publication of his latest novel Before it Breaks and a number of tours with various music formats, but he is looking forward to being Craig again, and working with Beresford-Ord and Mclean. “Caitlin’s performance is outstanding and Emily’s direction a bullseye”, Dave says.